Filing a PIL, advocate Anupam Tripathi submitted that 41 tigers were killed in 7 months i.e., from January to August 9 in the year 2015, as per the data provided by the National Tiger Conservation Authority. There were 74 tiger deaths reported in the year 2016, the petitioner said while submitting that these wild cats were killed by the locals residing near the reserve forests either due to man-animal conflict or poaching. It was alleged that the tigers are being indiscriminately, barbarically and monstrously killed either by poisoning by the locals or by the authorities, shooting by the Forest Guards, poaching etc. Thus, tigers are being killed each day in the cruelest fashion. “More than 1,200-1,400 tigers have been killed in the last 15 years on account of poisoning done by the villagers in the surrounding areas and have been shot to death by the Forest Guards who were appointed solely to protect the tigers of the wild. This count is a conservative estimate and could be much higher. Another 800-odd tigers have been killed in ‘man-tiger conflict’, in the last 15 years shot to death by the armed Forest Guards under the garb of ‘tiger on the attack’, ‘man-eating tiger’ etc. 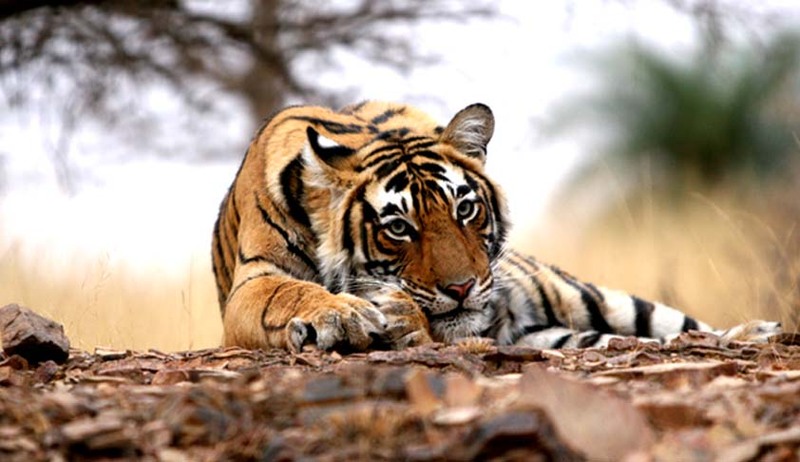 by the very Special Task Force that was set up by the ‘Project Tiger II’ to protect the tigers in the wildlife of India from the poachers,” the petition said, while seeking relocation of villages in the core areas in tiger reserves, in the corridor areas of the tiger reserves as well as in and around the tiger reserves.